What it looks like when two ex-members and a member of the band DRILLER KILLER meet in a band you could already witness in 2011. And as we can never get enough of Swedish crust / d-beat this trio returns again on the stage of Trutnov Battlefield. In a excellent form of course! Having been responsible for a debut album Depopulator and their own single until 2011 be informed these elderly guys have not rested on their laurels and were able to release much more since. Motörcharged dis-punk from Malmö?… Nothing to ponder about. Formed by Adam on guitar and Christ on drums in 2007 to test new ideas and to stay sane. A few songs later they asked d-beat maniac Selle to join forces on drums, leaving Christ to picking up his good ol' bass. Songs emerged in an alarming rate and before they knew it they had done several gigs and released a 5-song EP by Black Seeds and a cassette in Malaysia by Black Konflik. The band kept on gigging and coming up with new material, recording 8 songs for a ten inch, wich in the end became an album with four additional tracks recorded in the same Cave as always. The album - DEPOPULATOR - was released on CD and LP by Power It Up and Unrest records and gigs in Denmark, Germany, Sweden and a crazy tour in Brazil was up next. In 2013 the next album - BEDTIME FOR HUMANITY - was released by Unrest and Not Enough records on LP and CD and a eurotour and split-LP with canadian bastards Tarantuja followed. 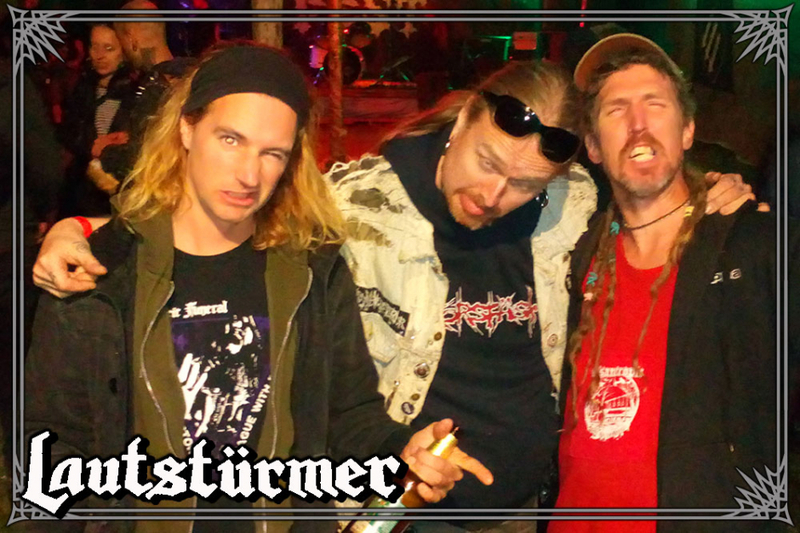 This year Lautstürmer will return to the studio to spew their filth over mankind once again and are looking forward to once again visit the Obscene Extreme Fest! !